Jay Harrison is a lifelong resident of Otsego County. He grew up in Mt. Vision, a hamlet in Laurens, NY, and moved to Milford, NY as an adult. The Harrisons have been a prominent family in the region of New York since the 1700s. In fact, the hill the family lived on, is still referred to as Harrison Hill. Jay Harrison’s legacy lives on through his children and grandchildren, now off Harrison Hill and across the nation. Currently, he works as a building superintendent for SUNY Oneonta, stationed at the Biological Field Station and the Cooperstown Graduate Program in Cooperstown, NY. Harrison has also worked as a mechanic and farmer. In addition, Harrison was active in the Boy Scouts as a child, as well as with his own children, and as a Scout leader. Harrison is proud of his children and grandchildren as well as his family’s legacy in the area. CGP Community Stories previously conducted an interview with Glen Harrison, Jay Harrison’s father. Jay Harrison’s interview exposes the next generation’s experience growing up in rural Otsego County. He explores the perceived differences between his and his children’s lives on a dairy farm and how this background has influenced the course of his life. Harrison also discusses the change in the landscapes and industries in Otsego County. Residents of this region in New York State sometimes use specific pronunciations of certain phrases. Harrison also had personal inflections and changes in tone that are currently only represented through the audio recordings. 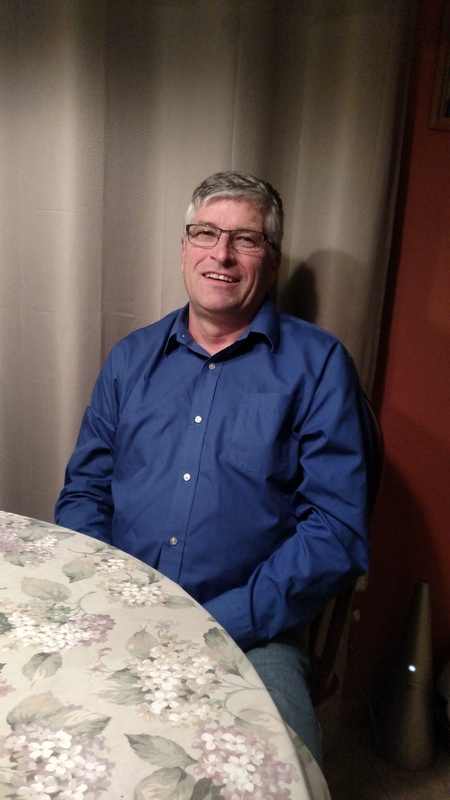 ST: This is a November 12th, 2018, interview of Jay Harrison by Sarah Taubner for the Cooperstown Graduate Program Community Stories recorded at Jay Harrison's home in Milford, New York. Okay. Tell me about the neighborhood you lived in when you were growing up. JH: I grew up in Mount Vision, New York. It was a farm family community. I went to school first and second grade in Mt. Vision. It was a two-room schoolhouse, and it was part of the Laurens Central School District. Most of the kids in the area went to Mt. Vision school until the third grade. They would go to kindergarten in Laurens but then they were back in Mt. Vision for the first and second grade and then they would go from third until graduating in Laurens. I graduated with a class of 32 in 1976 where, probably half of those students were from farm families. But back to Mt. Vision, as a kid growing up, the town of Mt. Vision was 310. You knew everybody on both sides of the street. You had two or three gas stations, if I remember right. You had a fire house. You had a mill, which was run by a wooden waterwheel because the Otego Creek runs right through Mt. Vision. There also was a funeral parlor; there was a butcher shop and there were two barbers. One barber that my parents always sent us to, we were always scared to go there because we'd come back and we didn't have any hair left on our head. But that's the way they wanted us to get our haircuts. I can remember sitting in the barber chair and looking at all these fancy bottles on the counter. There were all different colors, but once you were done with your haircut he'd slather your head with all this stuff and you could smell that all the way home because we lived about probably close to two miles out of town. We felt safe. Everybody felt safe to ride their bicycles over these country roads and go into town. We'd also meet all the kids that were in Mt. Vision that basically we went to school with. Even younger or older [kids], we would all hang out together and play baseball behind the little schoolhouse on weekends. We would hide our bats and balls and gloves under the stairs of the back of the school. We'd keep them there, but the teachers would never know that they were there. But that's where we would hide them, so we [didn’t have] to keep bringing them back. Mt. Vision also had three churches in town. There was a Methodist, a Baptist, and a Bible Baptist Church. Today there is only one church that is still going. It's the Methodist church and that's basically where my whole family was brought up into that church. ST: Were you guys very involved in the church? JH: Yes, our whole family was, and the hill that we lived on was called Harrison Hill. My dad had two other brothers, and everybody had a family farm up the hill. It was only, you were talking maybe three or four miles this hill was and there were four farms on that road. Small family farms. Everybody was involved in the church in Mt. Vision, and the Grange, which was basically a farming organization. It was run by the farmers. There were 17 Harrison kids and I was the youngest out of 17 out of all the families. Basically, what made up Mt. Vision church was the Harrisons, the Marlettes, and the Hooses and they were the three families. The Harrisons came in 1796 and I think at that time, from what my dad said and what I've read Mt. Vision had many names prior to Mt. Vision. The one that he remembered and always [taught] was Jacksonville, it was named Jacksonville prior to Mt. Vision. So that's where I leave that part, I guess. Jacksonville was Mt. Vision, prior to. ST: Were there other families that went to the other churches? JH: Oh yes. Yes. And you knew all of them. They were all different religions, but it was a close- knit community. Everybody would do things together, but on Sunday everybody would go off to their churches. Our family would always do the Methodist Church as I was growing up, and every Sunday my grandmother would have dinner after church. Every Sunday. We'd meet at her house and there would be, I think, probably seven or eight of us at her house every Sunday for dinner. ST: Can you tell me more about your dad and your experience with him? JH: Sure. My dad, he had a farm with his brother for many years prior to my brother and I starting our farm in 1972. Then he moved over with us but up until that point, he grew up and farmed with his brother. He had a thousand chickens that he would raise to a certain poundage and then he would have a truck from New York City come up. They would crate them and take them down to the city and sell them. His dad had sheep and he and his brother had I think it was 80 head of Guernsey cattle for milk production. Then my dad moved over on our farm, my brothers’ and my farm. Then while he was there he took a job with the Mt. Vision Post Office as a rural carrier. He would drive around and deliver everybody's mail. I think he did that for 15 years. So, that was basically to give him a retirement away from the farm because he lived to be 92. He worked, he drove until he was 90. He lived home alone until he was 90. But all the Harrisons were basically, I mean they raised their own food, they survived the winters, all the women would can, they would can everything. We did maple syrup, enough just for the families. They would can every vegetable you could think of. They had cultivated raspberries, blackberries, they had plum trees; they had apple trees, pear trees, and they lived off the land. ST: So how did you make your own farm with your brother? JH: My brother is six years older than me. He graduated from Cobleskill, or SUNY Cobleskill in 1972 and he moved on to my mother's father's farm which was two miles from where my dad grew up and we started building and enlarging the farm. At the end we were milking 100 Holstein cows, raising all our calves, and then it just got to the point where the price of milk got so bad that my dad back in the late 50s, early 60s was getting paid more for milk than we were in the 90s. So, we finally gave up and went other ways. My brother went into the healthcare business and I went for one year working in Richfield Springs as a mechanic at a tractor dealership and then I got the job with the college [SUNY Oneonta]. So, I was on campus for 11 years and I've been in Cooperstown for eight. JH: I've had three jobs my whole lifetime. Now, everybody said that, "that's odd," because a lot of people get a lot of jobs through their life. But I've had three jobs: I've been on the farm, I was a mechanic, and I've been maintenance with the college over my working career. We were on the farm for twenty-five years, my brother and I. It was hard work. Weather coming, we'd be around-the-clock working. I would get up at 3:15 every morning for 25 years and go to bed at eleven o'clock at night and then start again at 3:15. It was a hard job. Great place to raise kids. My children all started very young. They had their great-grandmother there living right on the farm. They had my brother and myself living right there, basically. I lived here, but we were over there all the time. It was a great place to raise kids. It was a great place to start kids and they had the freedom, you know? And that was the thing with the farm. You had the freedom to be your own boss, but it was hard work. And what comes out at the other end as far as money, the bills, the bills were a lot higher, the overhead was a lot higher than what you were getting back. So that's kind of how we ended that. ST: How do you think your kids' childhood was different from yours? JH: I tried to keep it the same from what I remembered. Only they didn't have the freedom of [biking to town] I lived a little closer to Mt. Vision, so I had the freedom to bike over there. Their great grandmother lived on the farm, we lived on the farm at the time, and my brother was always there. Somebody was always there. They had the freedom just to roam. And they learned the concept of farming very early. My youngest who is 27 this January, he used to ride around. I had the tractor with a cab on it, air conditioning and I was in it most of the time. He would nap behind the seat as a little guy. He was four years old, five years old and that's where he hung out in his childhood. So, you know they had the freedom. ST: Can you tell me more about how you noticed the land changing? JH: Sure. You watched all these farms disappear and you start seeing houses being built. The farming land, which used to grow crops and the farms, you see the barns all falling down now. The land that everybody worked, I can see it between here and the farm. There's houses everywhere. I mean it's gone to residential. You don't see farming around anymore. Like I was saying, there's two large farms left in the town of Milford and they're right together on Route 28. They have to travel quite a ways just to get land because the land is being taken up by residents. So, you know they're out and about. The land has changed from agriculture to residential, basically. ST: What are your feelings about that? JH: Well I think, you know, people like to eat and the farming community is disappearing and you hear people argue the point about why is food so high in price? Why is milk so high in price? But milk really isn't that high if they think about it, because the milk you buy at the store for what the farmer is getting it paid for, the middle man is making out really well. I feel bad for the farmers. I lived it, so I know. ST: Can you tell me about your other siblings? JH: Sure. My brother, he's retired now. He ran some division in Binghamton General for, I think it was like, probably close to ten years. And then my sister, she worked for the county, Otsego County, in Cooperstown for 37 years, and they keep calling her back even after she retired because they can't find the help that she knew how to do. She basically did placement for nursing homes through the county and she was quite good at it so they keep calling her back because they can't find anybody to do the job. But she's three years older than me. My brother is six years older than me and basically, my brother is retired and my sister works part-time. ST: You had three jobs, how did you transfer your skills between jobs? JH: Well, growing up on the farm, you learned everything. Between mechanics, and field work, you had to be self-sufficient on the farm and you could take that from one job to the other. I left the farm and I went to a mechanic's job. So, I've basically self-trained. And then when I came to the college, I worked for grounds and I did a lot of the trucking on and off campus. Basically, what I learned on the farm I took with me. I understood carpentry, electricity, plumbing. We had to do it all ourselves, so it was self-taught on the farm. ST: Did you find most of your co-workers had the same experience? JH: Not really, because they were trained either in a college setting for these jobs. Yes, there were a few that came off farm families also that [weaned] their way into the job knowing the job, sort of. But most of them were educated for what they do, maintenance department. ST: What do you think about working for the college? ST: How close are you to being done? ST: Has working with the bio field station, has it changed any of your opinions about the land or the environment in the area? JH: Working closely with the lake management department, I didn't really realize what there is involved with the Susquehanna [River], with all the lakes, ponds, around here and just being near it I've learned a lot, because I never really gave it any thought. But yes, we're talking wetlands, we're talking lake management, and everything that I've heard as far as like the Chesapeake Bay area and what I learned just by listening up there. I have nothing to do with it, but it interests me. It's changing the land as far as erosion, pollution. So, you know, everything that I've heard is interesting. ST: Would you ever look into it on your own? JH: No, it's nothing that interests me that much. ST: What other organizations are or were you part of in the area? JH: As a kid I was in Cub Scouts, Boy Scouts. Then as an adult I was a scout leader and, up until this last year, I would study all the Eagle Scout projects and I would pass them, yes or no. I was with Scouts for 22 years as an adult and my youngest son, he became an Eagle Scout. I followed him through, but then I stayed on because nobody else would do the job. This last year I finally gave it up. It was time for new blood. I was involved in Scouts as a kid and that was in Mt. Vision. There was a group of us, a group of 12, and that was in that small town. It was something to do. I mean back then you didn't have all these other activities as far as kids sitting in the house playing video games. Back then you did a lot of camping with friends, you did a lot of camping with Scouts, you were always out on bicycles with your friends. So things have changed like that. I mean today there's just too much, too many activities for kids, and not all the greatest either. They don't get outside like they used to. ST: Can you tell me more about your Scout experience both as a boy scout and your kid’s experience? JH: Sure. We used to camp. Straight over here on the mountain there's Henderson Scout Camp and every summer we would go over there and camp and thinking back there were probably 30 troops from all over New York State as far as Long Island and a few from out of state. I think there was some from Ohio. We'd all gather there and it would be six weeks. Each week would have different troops and we'd always go for a week. I loved it over there. You earned badges. You learned a lot even as a kid as far as woodworking, marksmanship, archery. I mean just things that back then you basically were using not video games. ST: Do you have a badge that particularly stands out to you? JH: Believe it or not back then I'd have to say the woodworking. I've built three houses on my own and a lot of it came, starting from scouting. You kind of get an idea. My dad, he built seven houses and so I worked with him. Everything I was learning from beginning to you know. Then I built three. I still own two; this one and I rent one. I think scouting puts you in the right dimension as far as learning things, putting your mind on things the right way. Plus, family, you learn from your peers, your dads. And he knew a lot, and we all picked it up from him. My brother did and I did. Back then you did things yourself. ST: Do you feel your kids picked that up too? JH: Oh yeah. Yes. I think my older son is a good carpenter. My younger son, he's a heck of a worker. My daughter, she lives in Houston. She's a hard worker. She's a manager of an all-day spa down there. She puts in 80 hours a week so she's a hard worker. She's got two children. Two of my grandchildren live down there. My older son has a child. He lives over in Garrattsville, which isn't far from Mt. Vision. He's got one. Then our youngest one, he's going to get married next September. So, they're all getting up there in age. ST: Are there any other organizations that you were part of? JH: Back in school I was with the FFA which was the Future Farmers [of America] and that was based out of the vocational school over in Milford. That was another thing, it wasn't like college, but it was hands on. I think that's the most important way to learn, hands on. We did a lot with tractors and mechanics over there, planting, soil testing, so you learned a lot from that too. I think that was the only two, plus I switched from the Methodist Church to the Catholic Church and we are involved in the Catholic Church in Oneonta. But that's all the things I was involved with through my life. ST: How did you meet your wife? JH: Oh, that's a long story. [laughs] Well, she moved up here from Queens and she was good friends with my sister. They worked together in Cooperstown. And we buddied around once in a while, here and there. But she was going to be my sister's maid of honor and I was in the wedding and I told my sister, “I'm not going up the aisle with anybody but Jeannie.” And so we did that, and the rest is history basically. She moved up here from Queens; she's been here around 38 years, and I've been here all my life. I never moved out. I'd been living in Mt. Vision, then I moved to Milford; that's as far as I moved. But it's just a friend through my sister, and we've been married 27 years. ST: Was she from a farming family too? JH: No, her dad and family were union electricians in Manhattan. So, it was like you went from one side of the track to the other and so far it's worked. She was up here long enough to know prior to us getting married how the whole thing worked and she's happy that our kids started little on the farm. It was a great experience, so she saw that. She saw all the hard work and she can't believe how people can make it that way. That was the biggest thing she saw the difference in because she always thought upstate was up to Bear Mountain. From there on there was nothing, so. But now she's been living in the area for 38 years so, she knows. She saw how hard I worked. That's about it for that. ST: You say about kids playing inside a lot. Did your kids play inside a lot? JH: No, we tried to kick them out as much as possible. My daughter's 41 and my other, my second son is 37. So they didn't have the video games like our last one had, but we never really pushed that on them. They didn't have much television. I wanted them outside because I was outside, I love being outside. And our youngest son, like I said, he was with Scouts so he was outside a lot. He's an outdoors person. He works for the railroad in Pennsylvania, so he's out and about all the time. We never pushed them to be inside. Outside's where kids ought to be. ST: Do you have any opinion on any environmental debates that have been up here in the past couple years? JH: As far as? I don't think I've really been involved with any of that. No. The only one I ever hear about, and this is at work, is the zebra mussel problem in the lakes. Besides that, no. I don't get involved with any of it. I'm not a political kind of guy. I let it go. [laughs] No, as far as environment, I mean, I'm all for clean environment, but I don't follow whatever is coming through. No, I can't think of anything as far as that. ST: Do you remember hearing about any local controversies either growing up or more recently? JH: Hmm, controversies. Give me an example. ST: Changes to the school budgets, schools closing. JH: Okay, the changes I see or what we've heard, a lot of it's got to do with housing in Milford and this area because of the [Cooperstown] Dreams Park, because the Dreams Park is seasonal, so all these people rent their homes and it drops the population in these schools because there's no long-term housing. You take a school like Milford or Laurens back when my kids started or even myself when I went to school we had like 650 kids from K to 12. Now you're lucky if there's 400. Now, Milford has 380 or 360. Laurens is three hundred and some. But the population in schools has dropped and their budgets keep going up. You figure, why should a school budget be so high when the population is dropping? But you're talking in these towns a lot of seasonal homes because people are moving out, there's no long-term housing for families to be going to school. There's no industry basically in these little towns. They're traveling to Albany, Binghamton. Oneonta has a few, but nothing major. If it wasn't for the colleges and hospitals in the area, there probably wouldn't be anything in this area. They'd be traveling as far as Utica, Albany, and Binghamton. That's the biggest thing I think is the school population is dropping because there's no long-term housing rentals. It's all short-term now, a lot of it. ST: And that hasn't changed with the growth of housing in the area? JH: No. You see in the wintertime a lot of houses sit empty. If they want to rent a house, they can rent it from October to May and then they have to be out because these people are going to be doing well renting to the Dreams Park people. ST: Does that baseball culture that's been here now, how has that influenced your time here? Besides the Dreams Park. JH: Well, I mean the good part about it is, it's helping the county economy. It's bringing in a lot of people through the summertime. But like I said, during the winter, everybody closes down basically; there isn't a lot of things going on. So, they're losing out on that part of the year. They're living on 13 weeks out of the year, basically, and as far as housing even the hotels I think would be hurting. They're sitting basically empty. The wintertime is slow around here. The day after the Dreams Park closes, all your restaurants down through [Route] 28, they're boarding up their windows already. They don't stay open for the locals. I understand that because the locals, there aren't many of us left. ST: Where did your high school graduating class, your classmates, go after high school? JH: Well, there are six of us that still live in the area that we meet once a year and camp. All six of us went from kindergarten and graduated together. A few of them I know are in Minnesota. A few of them are not right in this area, but they're still local. I would say probably 70 % of the class went to college and came out and [got], married, have local jobs. ST: When you say college what kind of colleges was it? JH: Most of them were agriculture colleges. I know they went to Cobleskill; they went to Morrisville. One friend, he was a music teacher, and he was a music teacher in Laurens for 27 years. He went to Texas University and Ithaca College. Ithaca College first, then he got his master's out of Texas University. Then he came back, and he taught in Laurens for 27 years. He retired two years ago. And the rest of them? Basically, the community colleges and state universities, they went to. ST: What do your get-togethers look like, besides camping? JH: You know we were always out. Everybody had cars and we'd go out and have parties and we would drive to football games, and baseball games, whoever wasn't playing a sport. We'd all get in the car and go to the games and raise heck at the games and usually get kicked out of them, you know? [Laughs] Because, hey, we were youngsters. It was clean fun back then, we had a good time. ST: Where were the parties? JH: Oh, the state land was big. We always met there. We had a buddy who had a cabin on his land. And that was a big place to meet about every Friday and Saturday night. They were, they were long parties. But yeah, we had a good time. Like I said, it was all clean fun. You know, nobody wanted to get in trouble. We stayed put and all these farmers would get together but we'd get up in the morning and have to go back to work. I remember in school, we'd go out and I'd come home late. I didn't feel like getting up for school and he [Jay Harrison’s father] would say, "Oh you're sick today." I’d say, "Yeah, I don't feel well enough to go to school." And he'd come in and he'd say, "Can you walk?" I said, "Yeah I can walk." He said, "Then you can work." I said, "No you know, I'm starting to feel a little better now. I think I'll go to school." That was the way we were brought up; he wanted us to work. You weren’t going to be home from school, unless you were in rough shape. We had a good work ethic growing up. We were pushed a little bit but it paid off in the end. ST: How did you handle any similar experiences with your kids? JH: Same thing. The cycle does the thing. Yeah, I always tell them what my dad used to say to me. And they're all good workers. They have a great work ethic, so, no problems there. ST: So you mentioned switching to the Catholic Church. Was there a particular reason for that? JH: The reason was basically because my wife was Catholic. When we had our child I wanted to raise him Catholic. So, for us to raise him Catholic I had to marry into the Church, which I did. I went through the whole thing. I did everything they asked me. I had to take a thousand question test. I went to Albany, sat in front of the nuns. I did the whole thing, made it right, and it paid off. He went to Catholic school in Oneonta. We did a lot with the church. But I'm glad I did that. I had a great foundation. My parents, we were raised Methodist, but they always said, "We're laying the foundation. You can do what you want later on in life.” So, when I was ready to tell them that I was converting, I was a little nervous about that. But, they understood because they said, "Well, we told you we set the foundation. You can do what you want." It worked out well. So, we we're all practicing Catholics. And he was raised Catholic. Worked out well. ST: How is the community in that church? JH: It's gone up and it's gone down. And yesterday the church was full which we were happy about. The community is a little different because it's in Oneonta. But a lot of the parishioners come from outside, to Oneonta. Basically, it's got a great community. They do a lot down there. They don't have a school anymore in Oneonta, no Catholic school. And so, we took our son out of the Catholic school and moved him to Milford in middle school. Because this is where he wouldn't have to catch up. He had friends in Milford, he played sports and Little League and all that in Milford. This way he was in line with them and that's when we moved him because middle school, we didn't want to move him after that because we could see the signs of the school closing and this way he was in line with all his friends. But that was a big change too, going from Catholic school to the public school because he was always in uniforms. When he moved from that he thought that was great, could wear whatever you want. But no, it was a great upbringing for him. ST: Were there any challenges with that move? JH: No, not at all because like I said, he knew a lot of the people in town. Probably the only thing would be just how the school worked. It was more, what's the word I want down here? Scheduled I want to say. But up here, you were going to be moving around a lot more. Down there you weren't moving around, in Oneonta. You were basically one-on-one with the teacher. I mean the class was one teacher, one class. Up here, the bell rang, you moved. That was different for him. ST: How do you feel about rural versus urban? Would you consider kids that lived in Oneonta or Mt. Vision when you were growing up, did you still consider them rural kids? Either growing up, was there a difference between townies and [rural kids]? JH: Yeah, you felt the difference. Like growing up, you knew the kids. All these districts would run into each other. So, you knew some kids from Oneonta, and you knew the group from Laurens or whatever, and you felt like these were city kids even though Oneonta wasn't that big but you felt the difference because, like I said, rural kids, most of them were farming kids. Oneonta, they were kids from doctors, professors, you know, and the school district was a lot larger. But yeah you saw a difference. You felt a little different as far as if you went down there you felt like maybe you didn't belong. But I think a lot of it is because you were just so used to having a small nucleus of friends. And then if you hit Oneonta, it was a whole different thing because you weren't known. Laurens, you knew everybody. Mt. Vision you knew everybody, and you grew up with them. Basically, you were with them more than you were with your family. You think about it. ST: Was there any crossover of city kids coming up to do farm kid work? JH: No, all our farm help came from the rural community because they knew how to do it. They wanted extra money for the summer or summer job and they knew how it all worked. I don't think you could get anybody from the likes of Oneonta to really come out to the rural farms and work. I can't see that happening. But, all our workers came, on our farm, the kids were right from town. ST: What actually does building maintenance entail? JH: Well, basically it's keeping the building clean. All the mechanics that you probably don't see, upstairs in the mechanical room is all monitored all the time. Cooling and heating. I take care of the grounds, plowing, and mowing, and the gardening part. I take care of the Thayer property which is eight miles up the lake. The college has 2600 acres in Cooperstown that they own. So, I take care and mow at Thayer property. There's another place at Moe Pond which is, you can't see it's out the middle of nowhere but it's a beautiful building that we take care of. And then there's the main building which is where the CGP is and where the biology department is. So basically just keeping the building cleaned, keeping the snow plowed and keeping the grass mowed, it’s a full-time job. Helping with the boats. I have another guy that helps me. He's a general mechanic there but he's basically based up at the Thayer property but he's around. But that's basically what I do. I just keep the building running. I'm on call most of the time because I'm the only one there, basically. I'm not like a group down on campus. They'll have the maintenance department, they'll have electrical shop, plumbing shop. I'm the shops up here and basically, I'm just the trouble shooter and if there's a major problem, I call campus. So, that's what it entails up there. ST: What do they use the other properties for? JH: The other properties are all for the Biology department. They do camp outs in the summer. The Thayer property is used mostly in the summer. They do camp outs up there, the biology department does. There's a lot of classrooms in every building up there, they do a lot of lab work up there. And the Moe Pond is the one that you can't see, it's a beautiful building. That's supposed to be for a bird professor. He's supposed to be taking care of that. It's all about birds and it's all run by solar. No, it's not solar. It's run by a generator and no electricity. It's all run by battery. It’s off the grid. ST: What's your opinion of the CGP students? JH: Truthfully? [laughs] I have a great time. I don't mingle with them that much and I'm basically there for if they need something done. But they've always been, I've been there eight years. It's always been a great group. I tell the faculty up there that I love it there. It's just a small group of people. And I'm always there to help. And once in a while, I get visitors down there needing something and then you know, I'm there. I enjoy it. In that building just basically is 50 students, and myself, and faculty, so it's perfect. I love it there. Everybody is wondering when I'm going to retire. Not going to tell them. ST: Have you seen the students change over time, while working for the college at all? JH: It's hard to say, they're basically all the same. They're there for one reason. You know, the museum studies, basically. You'll see some groups that are more-they can take on things themselves. Like I'm saying like, painting the gallery wall and whatever. Some groups come and get me and say, "Can you get the wall painted?" And then there'll be a year or two where they take care of everything themselves. That's basically the only thing. But they're all there for the same reason. You know, they're basically the same. ST: I'd like to hear more. I've heard a lot about your childhood. I've heard a lot about your life after having kids. I'd love to hear more about your time with just you and your wife or early adulthood. Do you have any stories that stick out to you? JH: Well, my wife and I do a lot of traveling. We do a lot of cruises. We cruise every year. We just got back from Ireland. My wife has family over there. So we've been over there twice. I love it over in Ireland. I told her I'd love to be over there for a longer period of time. So when I retire I think that's what the plan will be. It's slow paced over there. Kind of reminds you of here. My wife and I we're a great team. We were, hang in there together. She'd been retired eight years now. So, she's basically waiting for me. But she gets nervous thinking what I'm going to do, because I've got to keep busy. And she's worried about having me home here because I'm going to drive her crazy. No, we have a great relationship. Like I said we have one son. The other two children are from a previous marriage. So, we have one son and he's the one who's getting married this coming September. But yeah, we love being home but we love to travel. And we'll probably be doing more travel and after I retire. But, besides that, we're outside a lot, and we do the gardening around here and you know, a great team. We do alright together. ST: What did she used to do? JH: She worked for the court system for New York State for 30 years. She worked out of Cooperstown. She was an assistant with one of the judges. So, she was 30 years with the court system in New York State. ST: Are there any fun dates you remember when you guys were just dating? JH: Let's see. There was. We went to a Billy Joel concert up in Syracuse and we were dating. And we got up there. We had the concert, came out, and it was starting to ice over. And we had to drive from there back to Milford. She had her car and she didn't want me to drive her car, she was going to do the driving. We worked our way back, we almost got here. We got, four o'clock in the morning. It took us almost four hours to get home because the roads were like mirror all the way. We got to Cooperstown behind a salt truck which basically got us up the hill to [Route] 28. We came down, and we got right down here just before it crested the hill and we went in the ditch. And we walked home. So, we got home, instead of me going back home I said, "Well I'm here. Let's have breakfast." [Laughs] So we cooked up breakfast. That was a fun ride home. It was a long ride home from Syracuse. We loved doing concerts. This year we went to Cleveland to the Rock and Roll Hall of Fame induction ceremony. Met the president of Rock and Roll Hall of Fame who was an alumnus of CGP. Greg Harris, I met with him and visited with him. And no, we love being out and about. ST: So. Was it this hill? JH: Yeah, just below the crest. ST: So when did you build this house-ish? JH: She was having it built in '89. And I was building a house in '89 that I was going to move in to. She came over to see my house, and it was almost done. And she said, "You've got to come over and see my house." Well I came over, it was the same color, the same siding, the same layout. Since my sister got married, to the time we got married, there was like an eleven year period. We never saw each other. So, in that period of time we were doing our own things and then we looked at each other's houses and they were basically the same. So that was kind of strange. But then when I moved, we got married, I moved over here, and I rent my house. I changed this house completely on the outside. You wouldn't know what it looks like today what it looked like back then. Besides that, you know. That's about it with, you know, our relationship. It's great. You know, traveling. So, that's our thing. ST: Do you guys travel with any other friends? JH: We did to Ireland this time. It's always fun to travel with friends. But at the same- we got there and we rented two cars which is nice. Everybody could do their own thing. But I said, "You know what? From now on, I'm going alone and whoever wants to come visit us come and visit us.” [chuckles] It's just that you know there's tension there because you want to do your own thing, but you feel obligated and no more. I've learned. ST: Did you guys ever do family vacations with your kids? JH: Yes. We used to go to Disneyland. Or Disney World, whatever it is in Florida. Her parents had a place down there, so we would stay. It was right on the outskirts of Disney. So, it was nice. Yeah. We'd go down, we went down three or four times to Disney. And that's with all the kids we've been. So, it was fun. And basically, that's the family trips we had. We never went out. We've done picnics here and there but as far as trips we go to Florida, because we had a place to stay as a base, which was easy. ST: What about when you were growing up, family vacations? JH: Oh yes. Yeah everybody in the station wagon. And we would head for Vermont. My dad and they wouldn't ever reserve a place. We'd just be on the road and we'd go, and they used to have these little cabins along the road and he'd stop, see if there is any vacancy, but a lot of times we just keep driving ‘til there was vacancy. You know you were taking a chance, but he'd find a place. And there was five of us in the family. In the back of the station wagon you got to picture that. Nobody had to wear seatbelts back then, so everybody's flying all over the car. We did that. We did the World's Fair in New York, in the 60s. We would do a lot of day trips with him. He would take us to picnic areas around the area. We had Sunday afternoon picnics in the summer. Besides that, back then it was like was always getting in the car and say, "You want to go for a ride?" So Sunday nights we'd go for a ride and probably head for an ice cream store or something and come home. Starting the week off. It was the station wagon trips that I remember. But we’d do Vermont, all over New York. We'd go different places. ST: Can you tell more about the New York World's Fair, from what you remember? ST: We're actually almost out of time. So, I have one quick, last question for you. Have you noticed how these communities that you've lived in, that you've experienced, their social attitudes have changed at all? It's a pretty broad question. JH: Social attitude. I would have to say yes because of how the whole terrain has changed as far as going back to the farms are not, like they were back then. The family units aren't like they used to be. The family units when you graduated from school, they used to be, coming out of school, they would stay together. You had grandparents, parents, and then kids. Now they disperse. There's nothing here for them. So I see that change. And kids today, they're either graduating school and like I said, they leave. So your family unit isn't there, I don't think. The socialization there is gone. Growing up, I know you always had somebody home, and now everybody's out of the house working. So the kids, in my mind, there's a different attitude of kids. They're not being raised anymore. They're being almost kicked out the door when they're done. You know when it's done with school or they come home to an empty house. You always had somebody home. The mother basically never worked back then. My mother, she worked, but she was always home for us you know. So I think that's the biggest thing. The family unit's changed, as a whole. ST: Is there anything else you'd like to say or add? JH: It's just, like I said growing up in Mt. Vision as a kid. My family starting' here in 1796. I was a fourth-generation farmer and took it until 1998. You know, you miss the whole thing about small town but at the same time, I'm lucky for what I've got now. So, I'm happy with what I got. Let's put it that way. But the work ethic was drilled into me and it'll never leave. And that's what I've done with my kids. 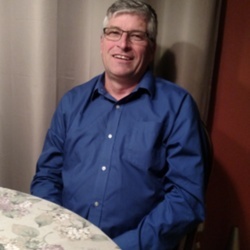 Sarah Taubner, “Jay Harrison, November 12, 2018,” CGP Community Stories, accessed April 25, 2019, http://cgpcommunitystories.org/items/show/368. 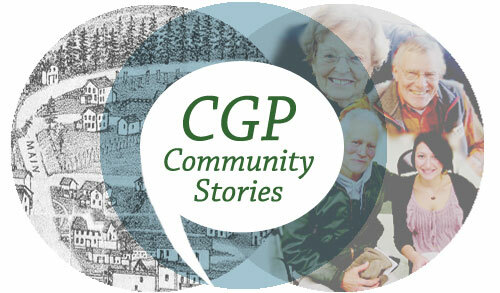 CGP Community Stories is a project of the Cooperstown Graduate Program, the State University of New York-College at Oneonta, and the New York State Historical Association. Funding and support provided by the Teaching, Learning, and Technology Center, State University of New York-College at Oneonta.